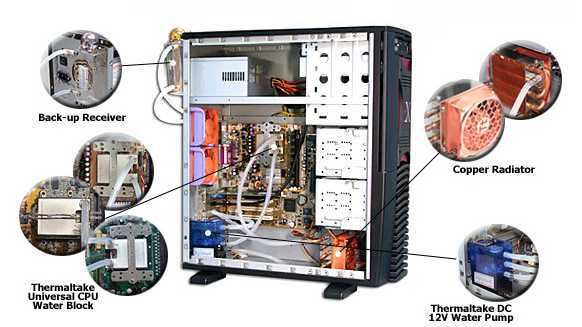 Thermaltake Aquarius II liquid cooling solution. Kit includes all components needed to install water cooling system in your case, check below for chassis requirements. Made by pure copper and with high conductivity. 3D water channel enhance the heat conduction and convection. 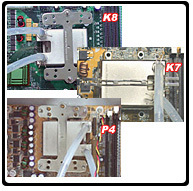 Radiate water block spread the heat from the center. 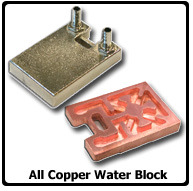 High density copper fins to maximize the surface area and with high conductivity. The innovative low speed fan can reduce the system noise and maximize the heat exchange efficiently. Small size, low noise, low current and high pump speed. Blue LED light will be a security to warn you if the pump is functioning and also show you the water level. Secured by “L” type clip to minimize the vibration and noise from motor. The motor will automatically adjust its speed from 1800rpm to 2500rpm based on the water resistance. Monitor the motor speed through the 3 Pin connector. Back-up Receiver stores additional water to ensure that system is full at all time. With the see-through Back-up Receiver, you can check the water at any time. When the water level within the system is decreasing, Back-up Receiver will automatically supply the necessary liquid to DC Water Pump. 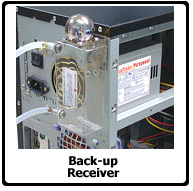 Back-up Receiver is not required for AquariusIITM to operate. Users may not wish to have additional accessories outside of the case. Users will need to check the water level within the DC Water Pump monthly. Refill the system if necessary. To refill the DC Water Pump, please remove the Tube from top part of the DC Water Pump. Then connect the Tube from the Back-up Receiver to it to refill. Note: Please make sure there are no water spills, as it might cause serious damage to your electrical components. Better water-flow and avoid compression. The spring represents the best solution to ensure maximum water-flow. New and improved DC water pump outlast the life expectancy of traditional open water motor. 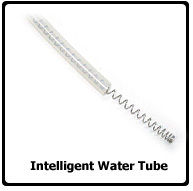 Designed & improved by various respectable manufacturers and engineers to maximize water-flow, water capacity, and thermal resistance. 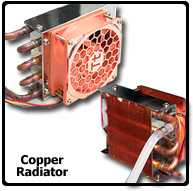 Pure copper design provides maximum heat transfer rate. Specially processed to prevent copper oxidation. 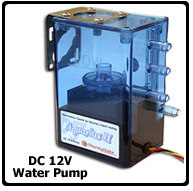 DC water pump's low power consumption eliminate the need for external power source or additional power supply unit. System is highly upgradeable. Will work with future CPUs through simple upgrade. Water Pump clearance requirement: H4.7”xW5.3”xD2.0” inside the chassis.